TAIPEI, Taiwan - A TransAsia Airways (復興航空) passenger flight crashed near the Magong Airport on Penghu Island yesterday, with the transportation minister confirming 46 missing and feared dead and 12 injured as of press time. 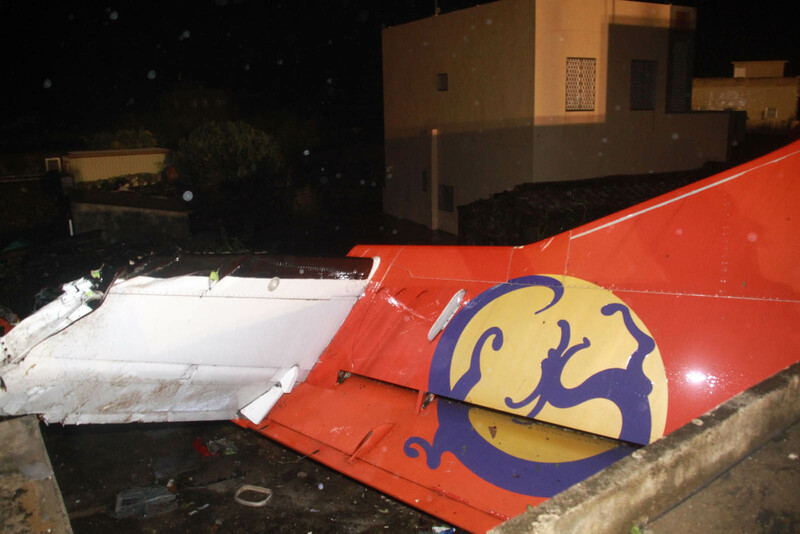 According to the Civil Aeronautics Administration (CAA), TransAsia Airways flight GE-222 departed from Kaohsiung International Airport around 5:43 p.m. yesterday, and the pilot reported that they would be landing around 7 p.m.
A typhoon was sweeping across Taiwan on the day of the accident. 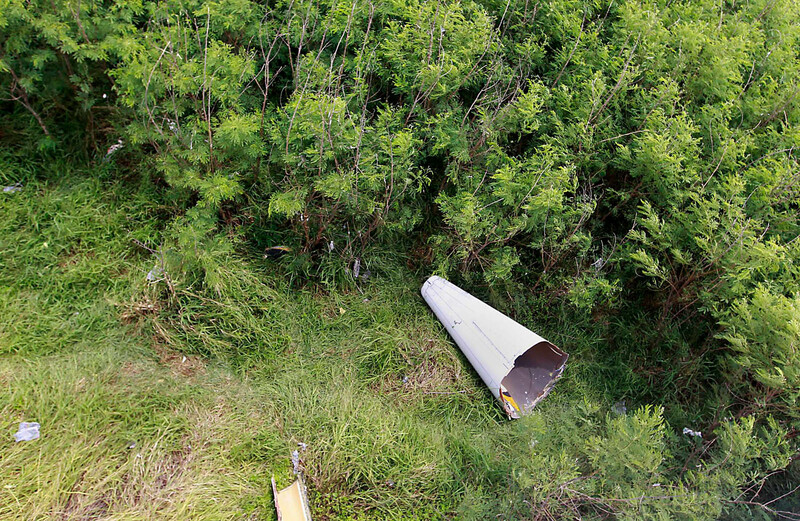 Unable to land smoothly, the pilot attempted a forced landing, later crashing in a small patch of empty land 1 to 2 kilometers away from the airport's landing strip. 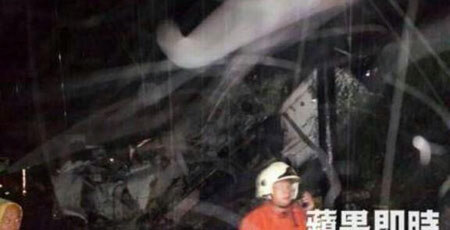 The site of the crash was near two houses in Penghu's Hsi-his Village (西溪村), but no villagers were injured. 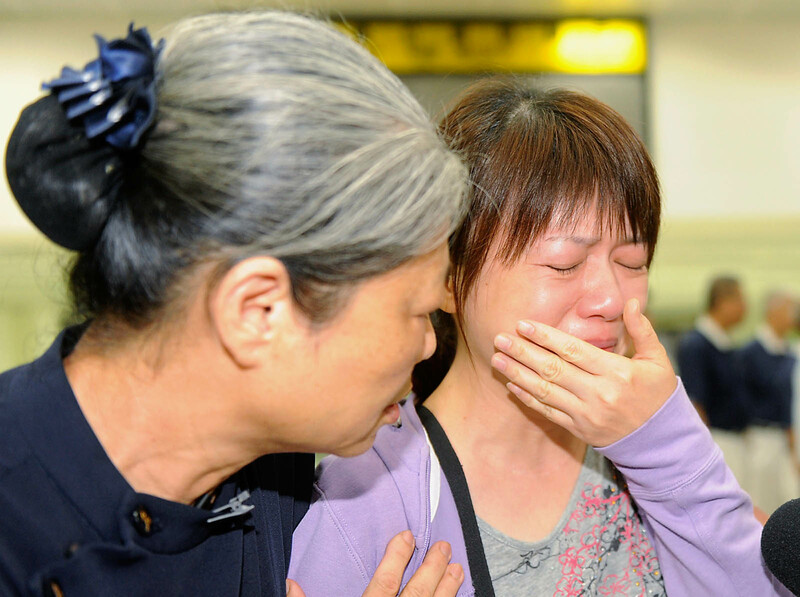 "We lost the signal from them after they reported they would be trying for a second landing," said CAA Director-General Jean Shen (沈啟). 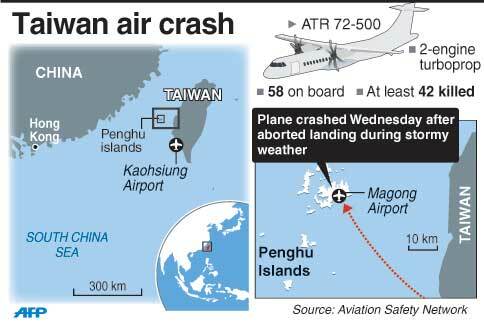 The plane was carrying 54 passengers and four airline crew. 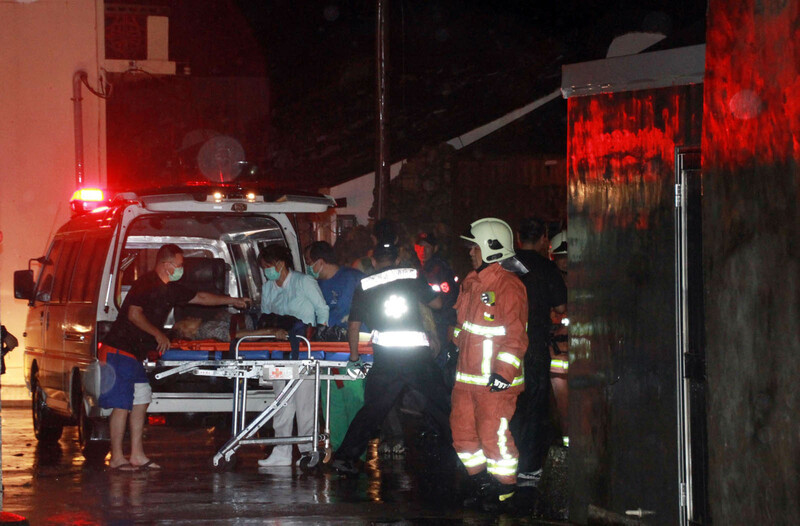 Twelve people were sent to the hospital almost immediately after the crash, with one arriving without vital signs. 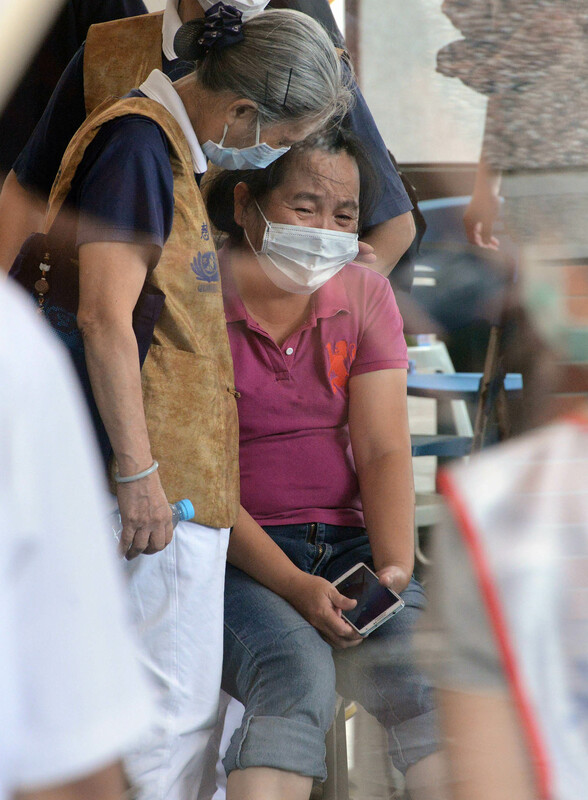 Transportation Minister Yeh Kuang-shih (葉匡時) confirmed yesterday that there were 46 "missing" and feared dead and 12 injured, but these were still being revived in the hospital as of press time. 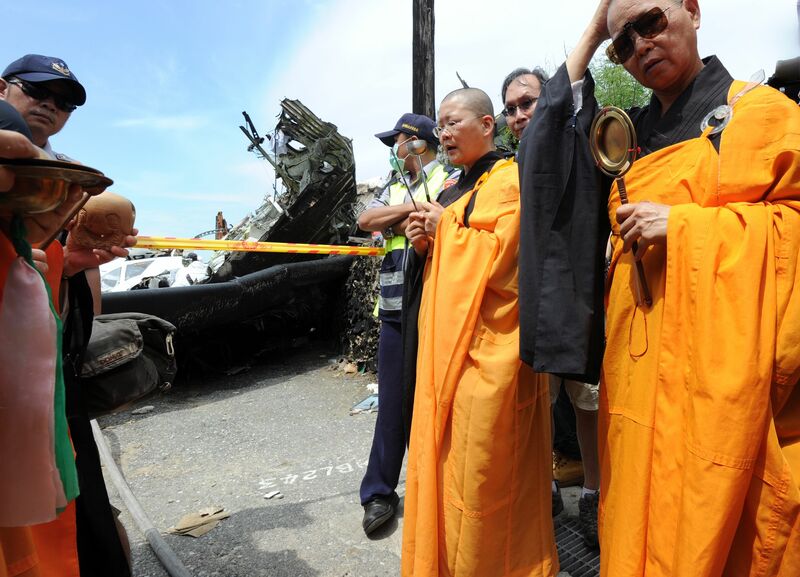 The injured had crawled out of the crashed plane on their own, said the minister. 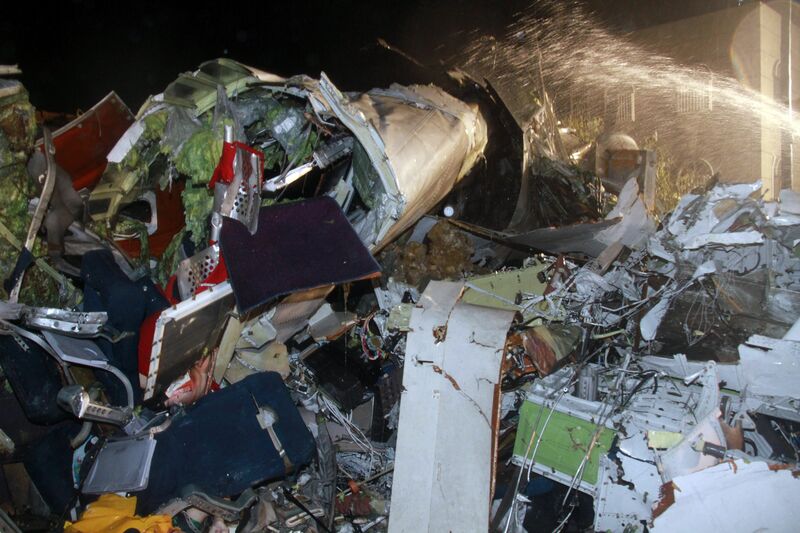 The plane, flight GE-222, is an ATR-72, a twin-engine turboprop short-haul regional airliner, and was in service for 14 years at the time of the crash. 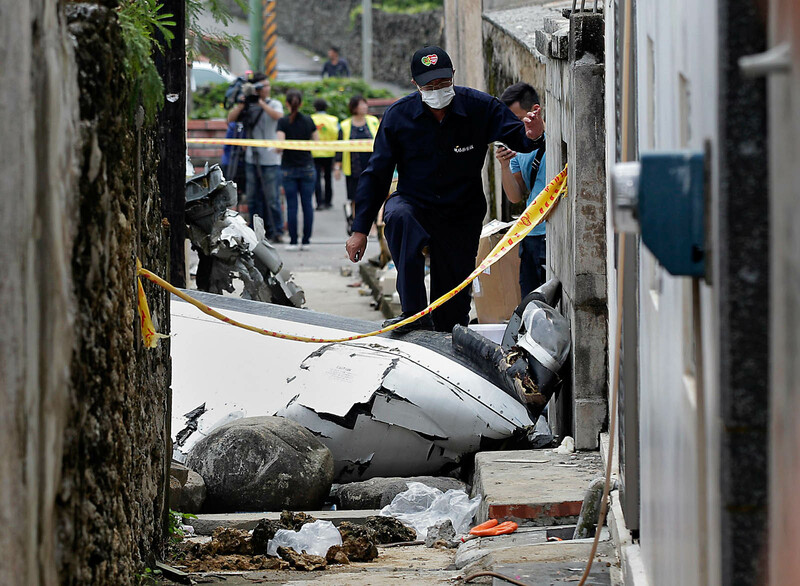 It was flown by pilot Lee Yi-liang (李義良) and copilot Jiang Guan-hsing (江冠興), with over 23,000 and 22,000 hours under their belts, respectively. 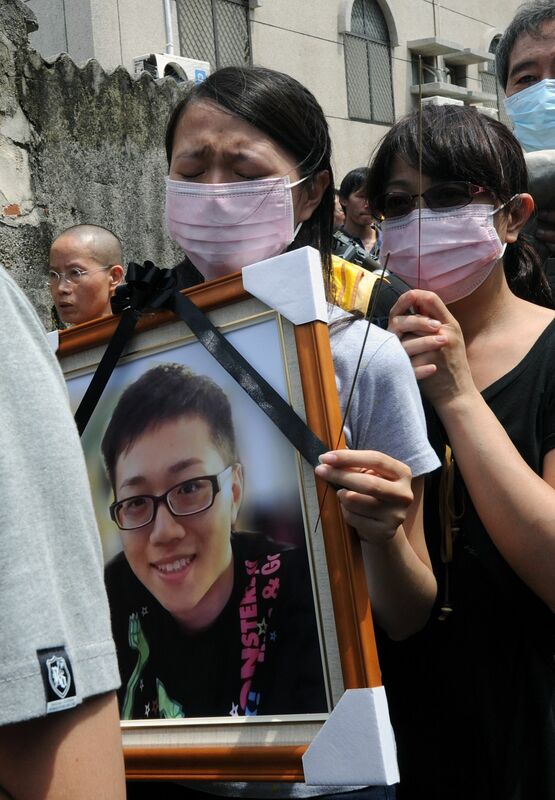 Lee, 60, worked well with Jiang, who was around 38, said the CAA. 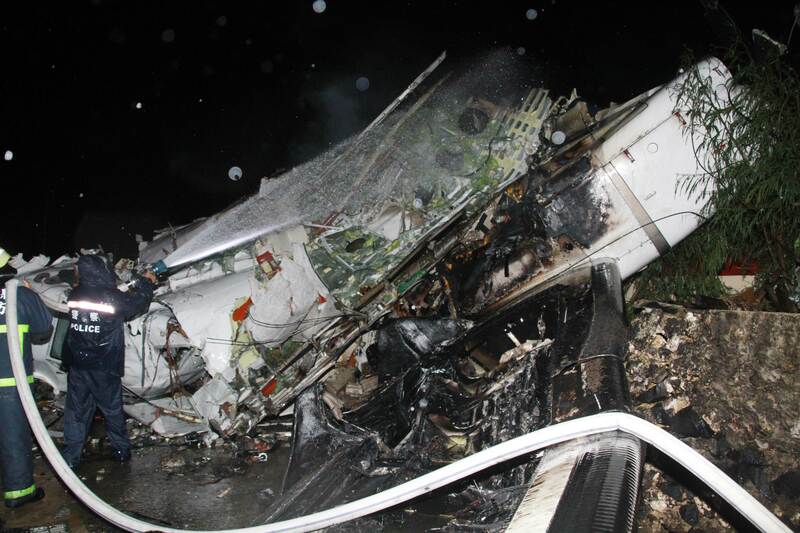 The plane was badly charred and in flames after the crash, with villagers who had witnessed the crash reporting that sparks were seen in the air before the plane attempted to land. 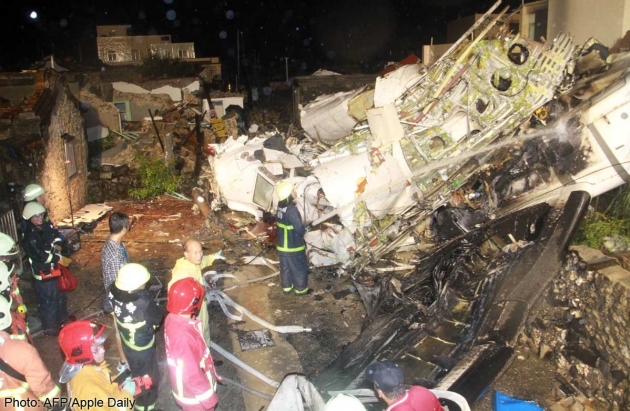 The Penghu County Fire Bureau dispatched over 30 fire engines and ambulances to the site of the crash, trying to put out the burning plane while paramedics dragged out passengers, many of whom were already deceased as they were not able to escape in time, said the chief of the Penghu County Fire Bureau. 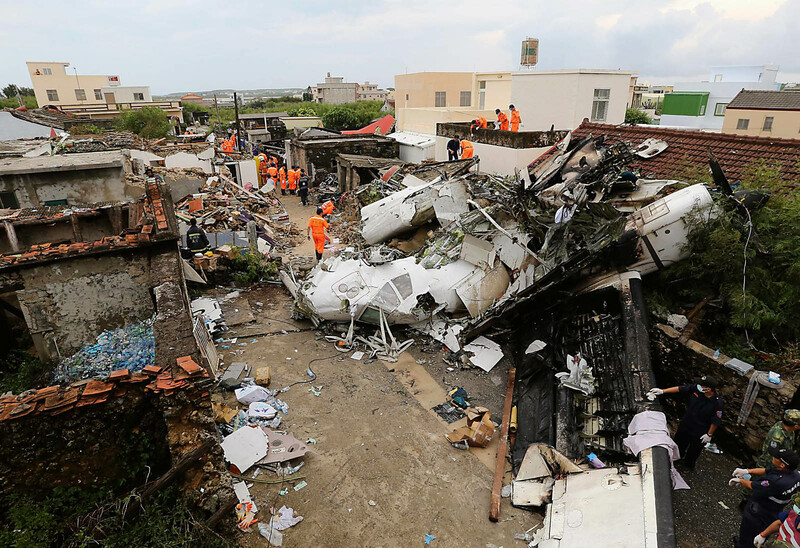 It was reportedly raining hard in Penghu when the plane crashed, possibly blurring the sight of the pilot and also making it difficult for the paramedics to rescue the passengers. 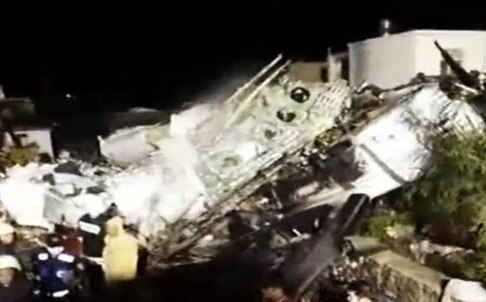 TransAsia Airways cancelled its last flight from Kaohsiung to Penghu after GE-222 crashed yesterday. 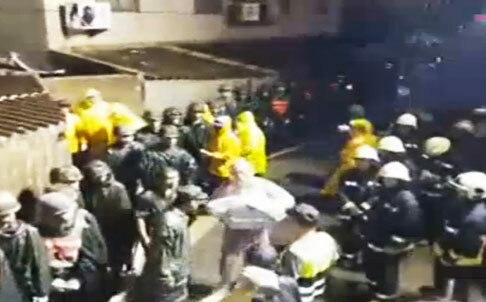 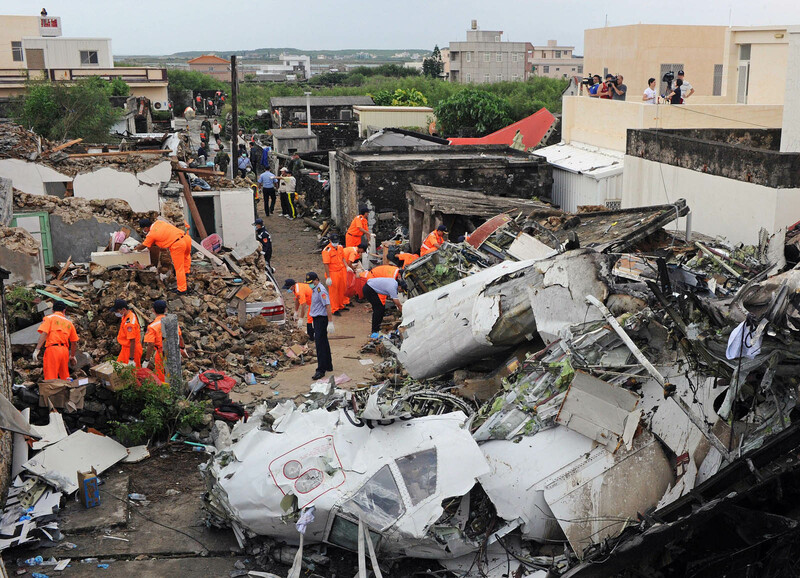 According to local media, there is a history of two ATR-72 crashes that were both linked to Penghu. 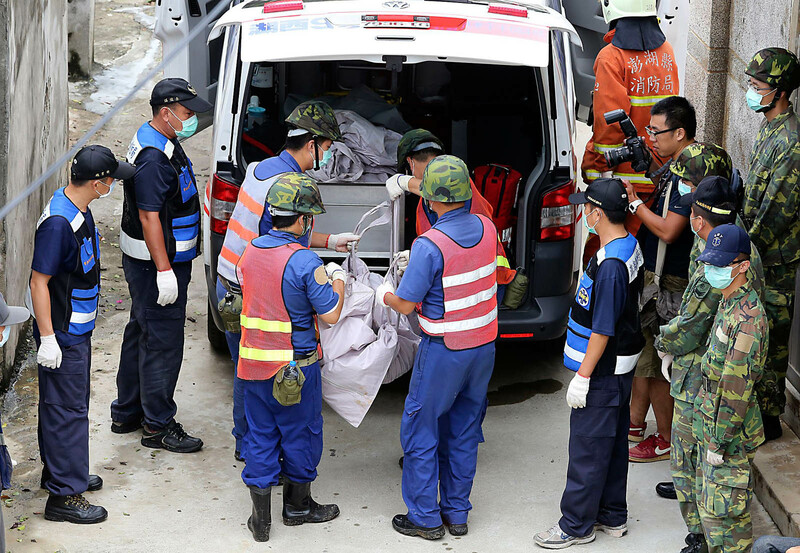 The first one occurred in 1995, when a passenger plane veered off track after flying back to Songshan International Airport from Penghu and crashed into a mountain near Taoyuan County, leaving four crew dead. 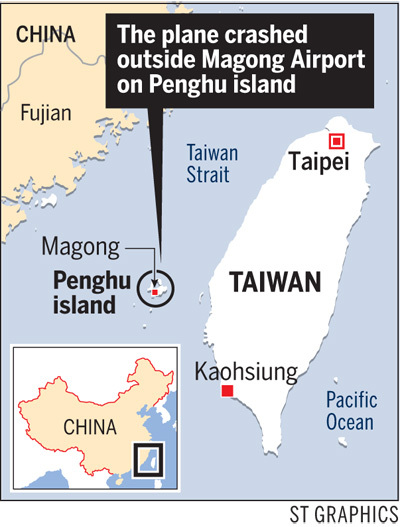 The second accident happened in 2002, when the ATR-72 crashed into the sea just off the shore of Magong after ice built up on the plane. A photo showing the wreckage from the crash of the TransAsia Airways flight GE222 on July 23 in Penghu islands. 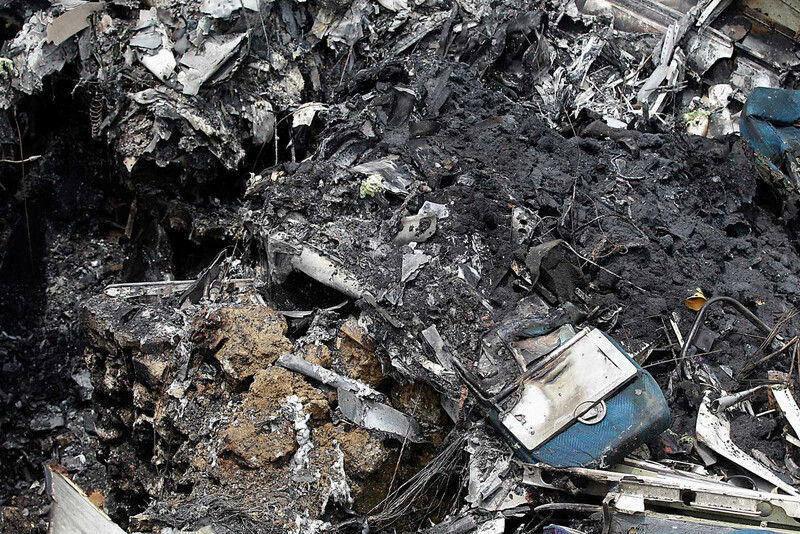 More than 40 people were feared dead in the crash. 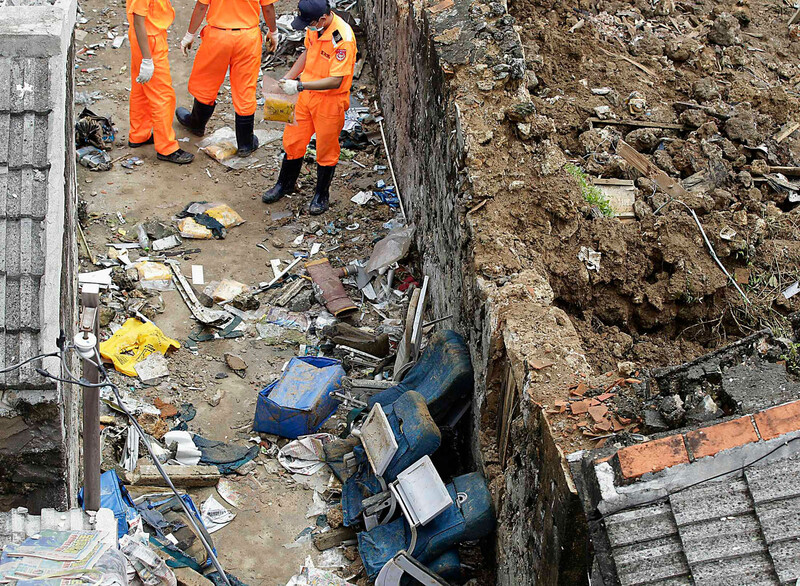 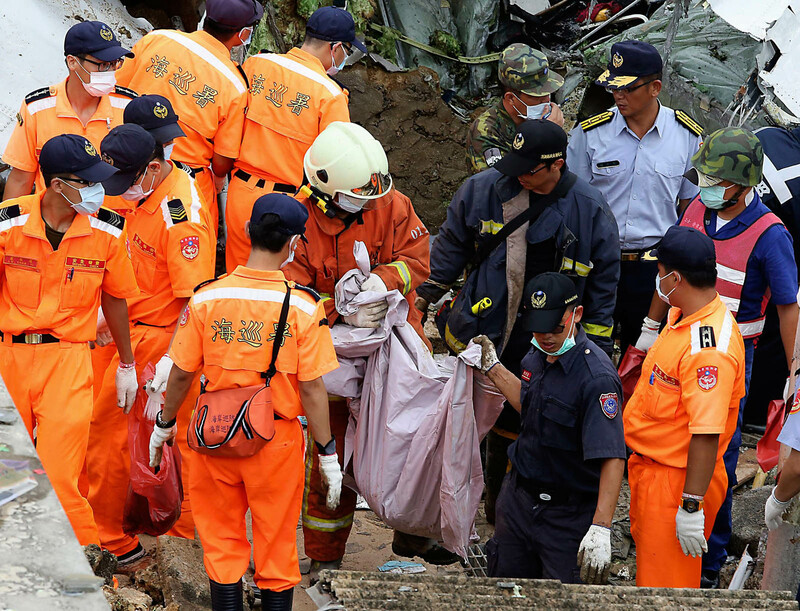 Rescue workers searching for survivors through the wreckage of TransAsia Airways flight GE222, which crashed on July 23 in Penghu islands. 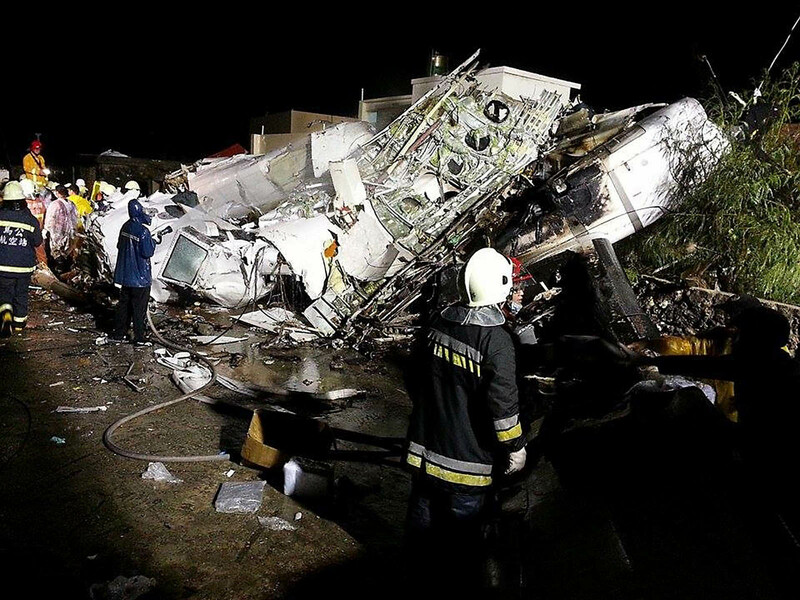 More than 40 people were feared dead in the crash. 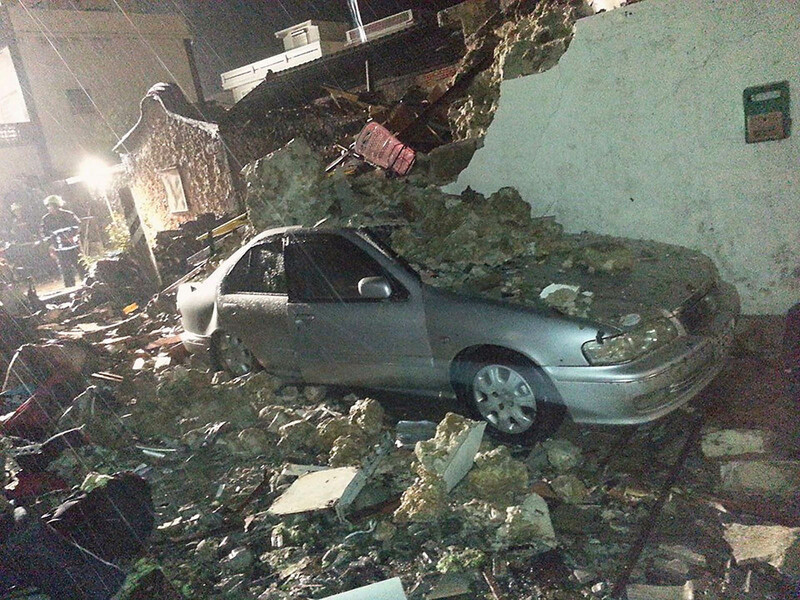 A car covered in rubble from the wreckage after the crash of TransAsia Airways flight GE222 on July 23 in Penghu islands. More than 40 people were feared dead in the crash. 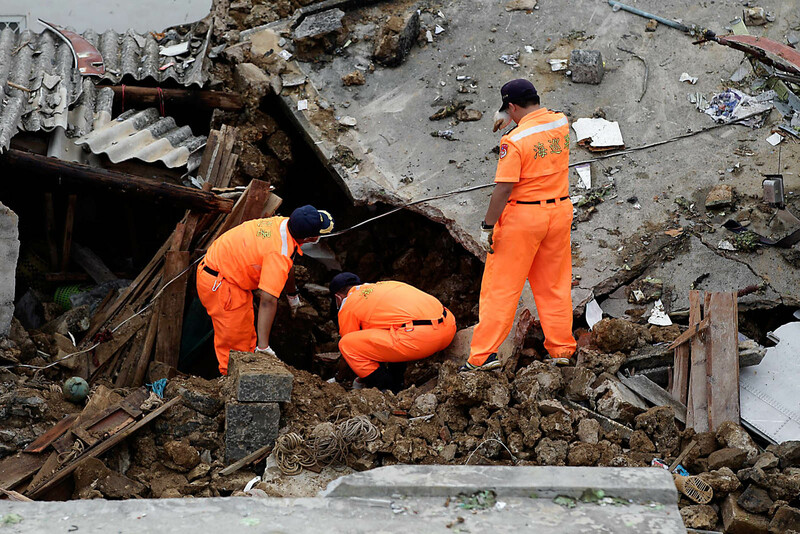 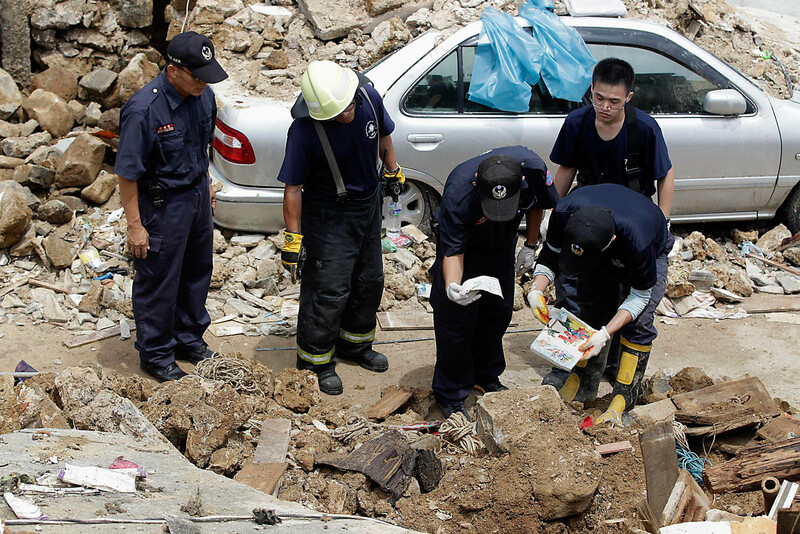 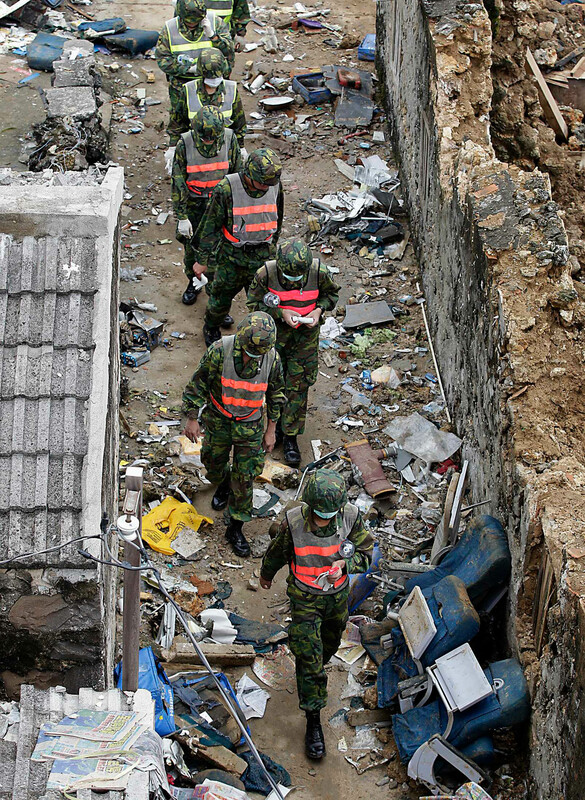 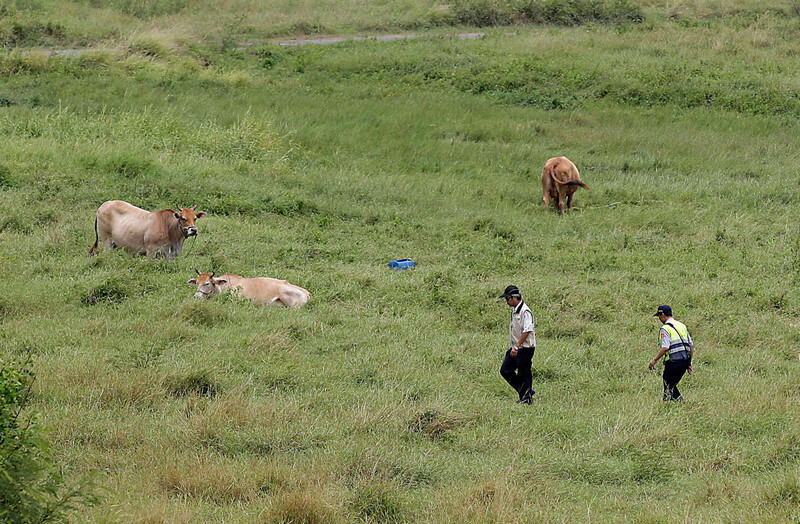 Rescue workers search for survivors after the crash of the TransAsia Airways flight GE222 on July 23 in Penghu islands. 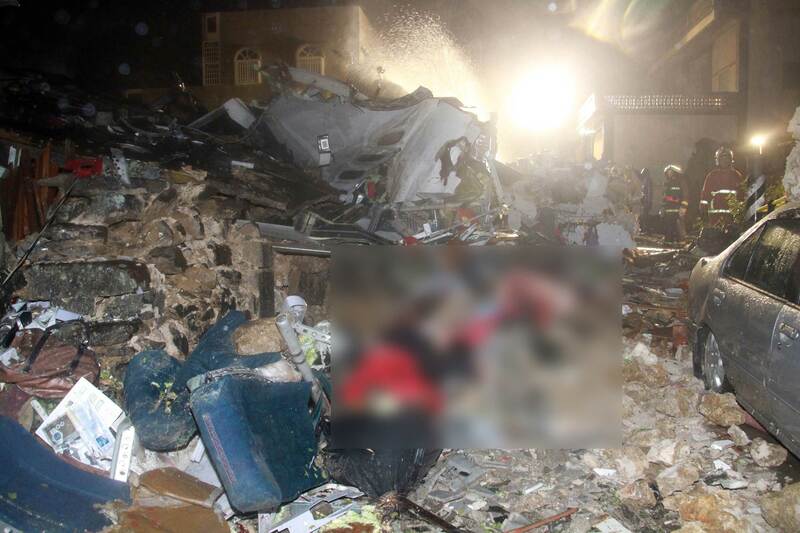 More than 40 people were feared dead in the crash. 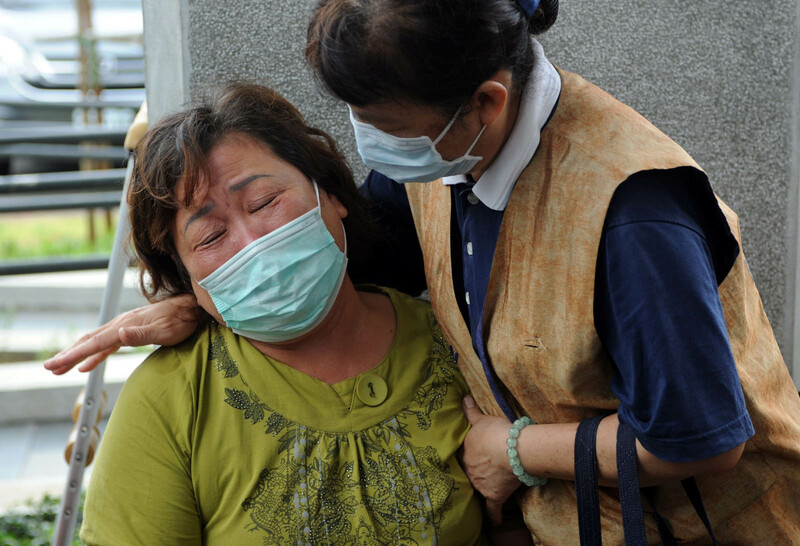 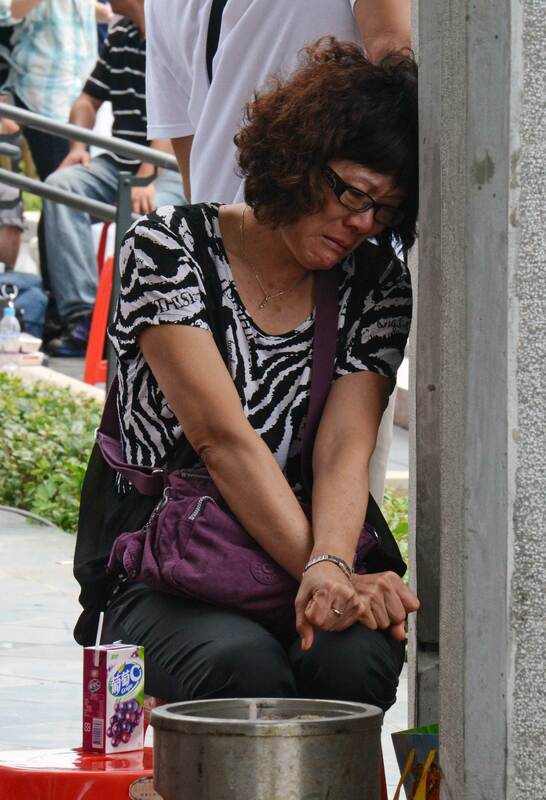 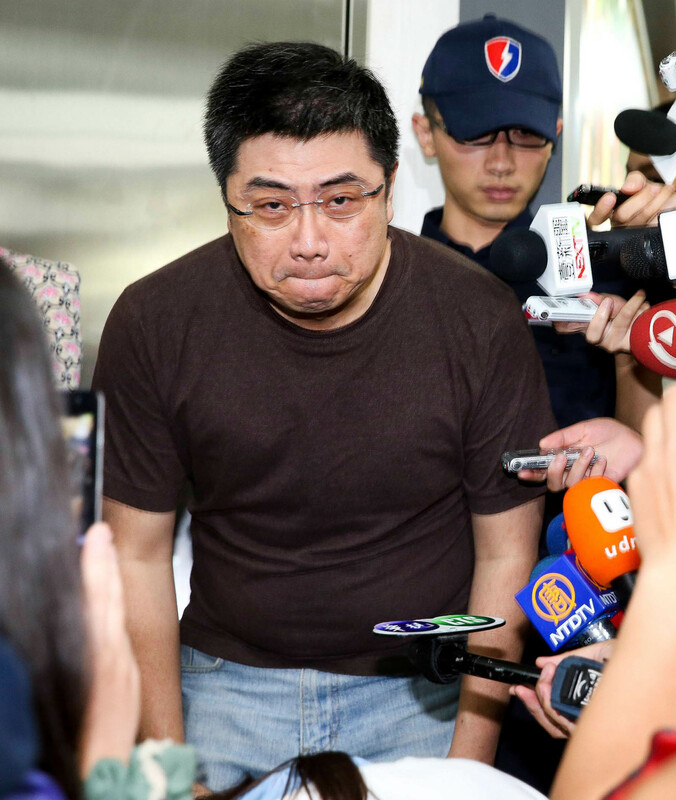 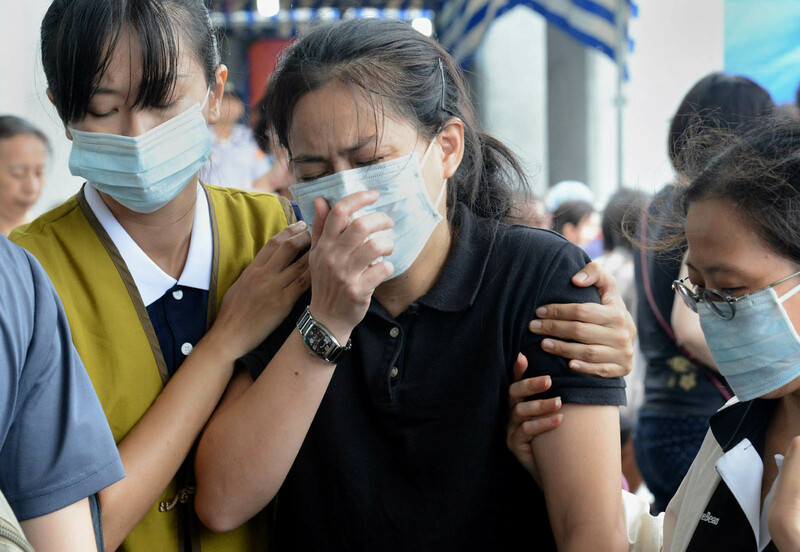 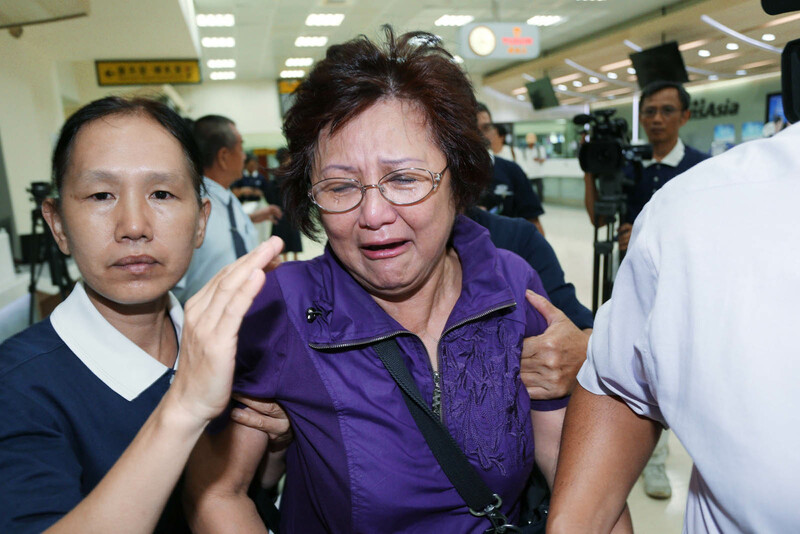 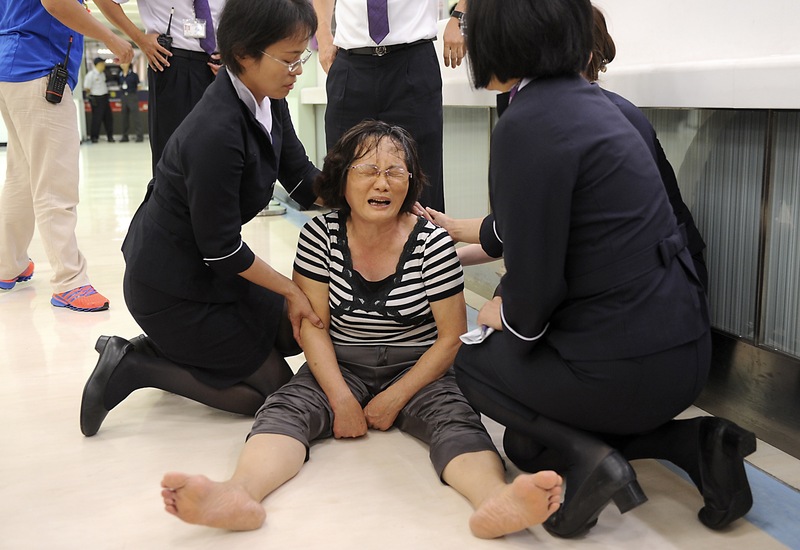 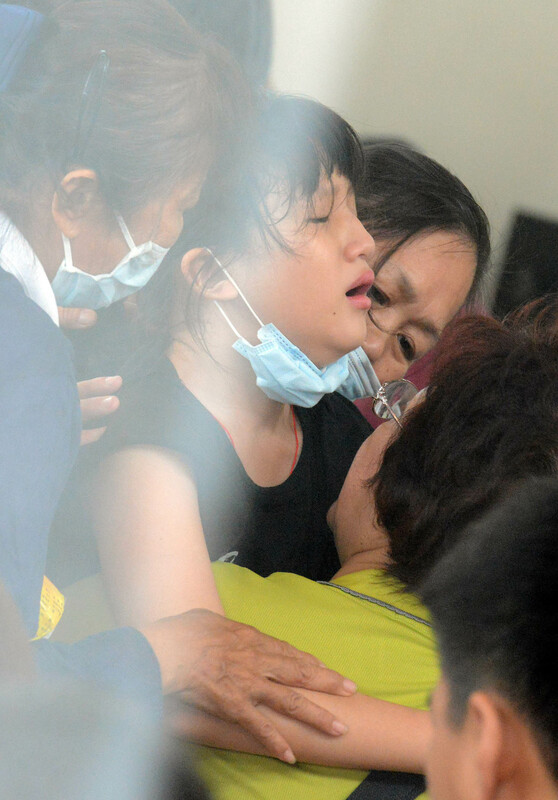 A relative of one of the passengers on TransAsia Airways flight GE222 cries in Kaoshiung International Airport. 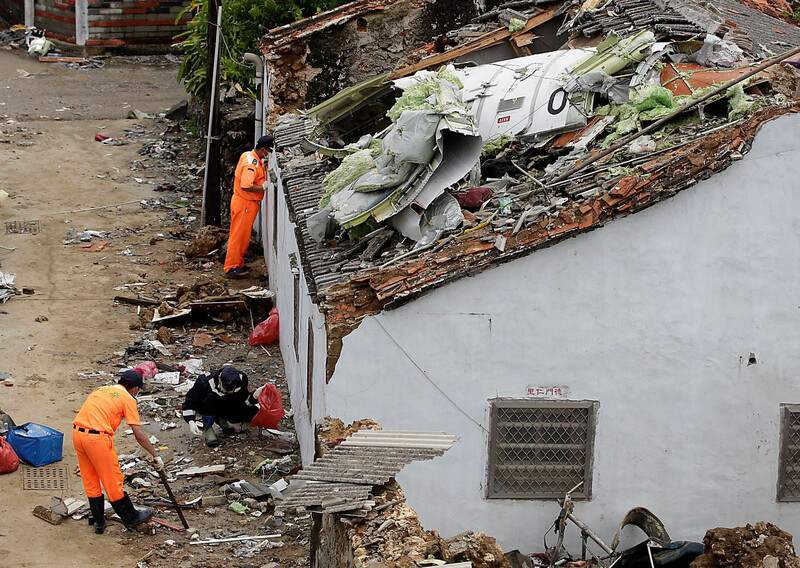 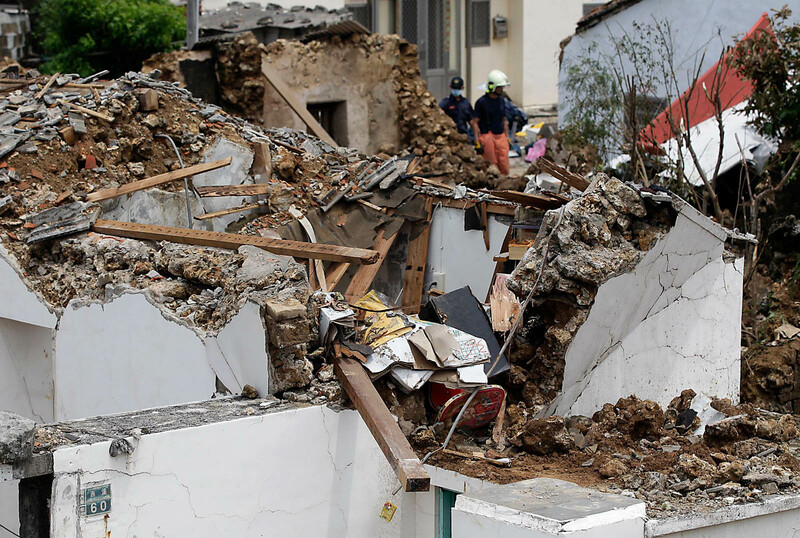 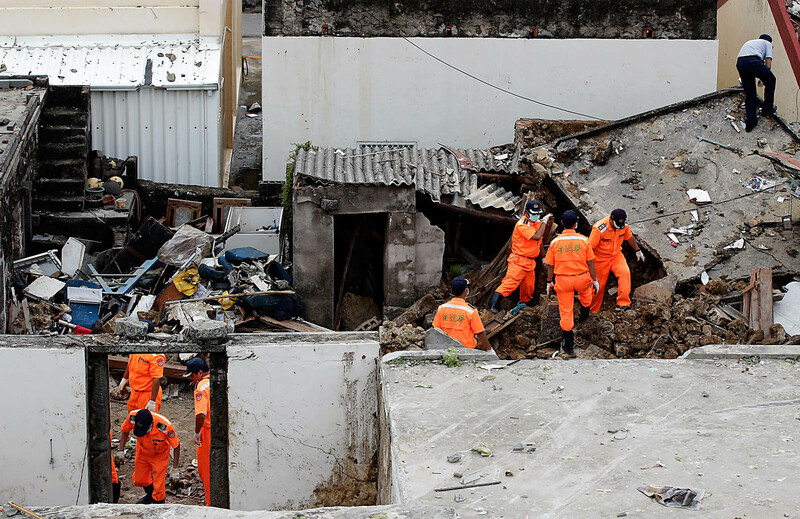 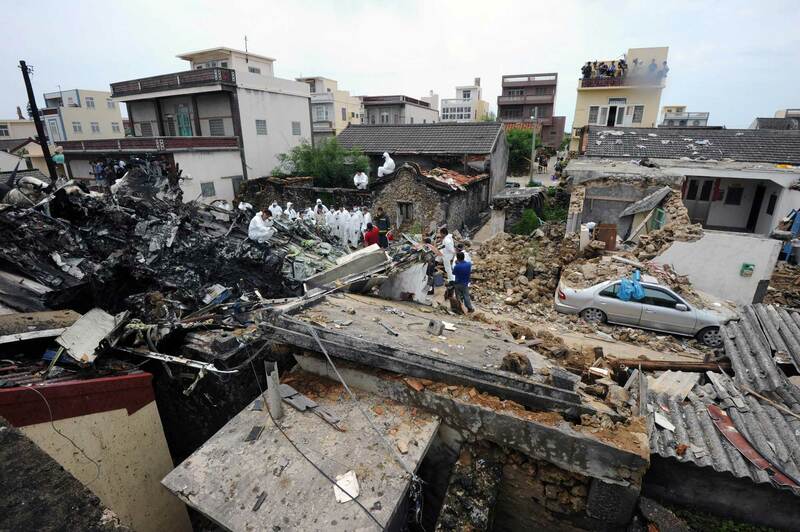 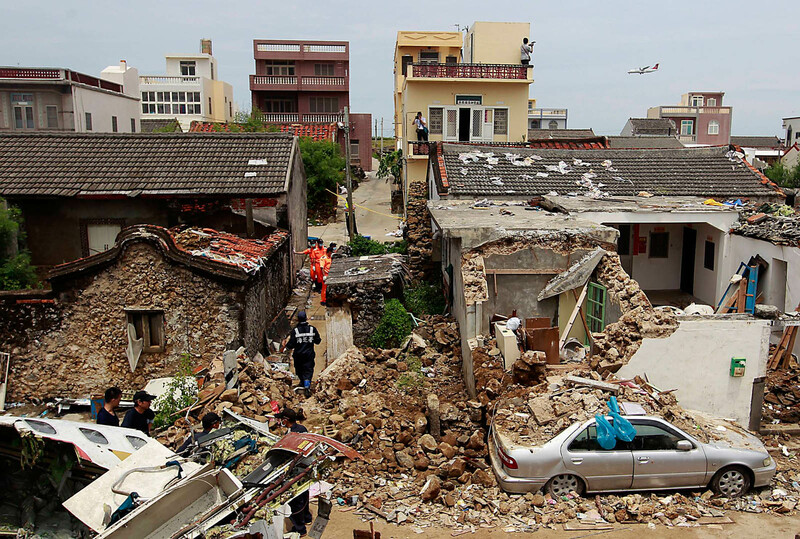 TransAsia plane smashed into two homes, killing more than 40 passengers and injuring 11 on Penghu island. 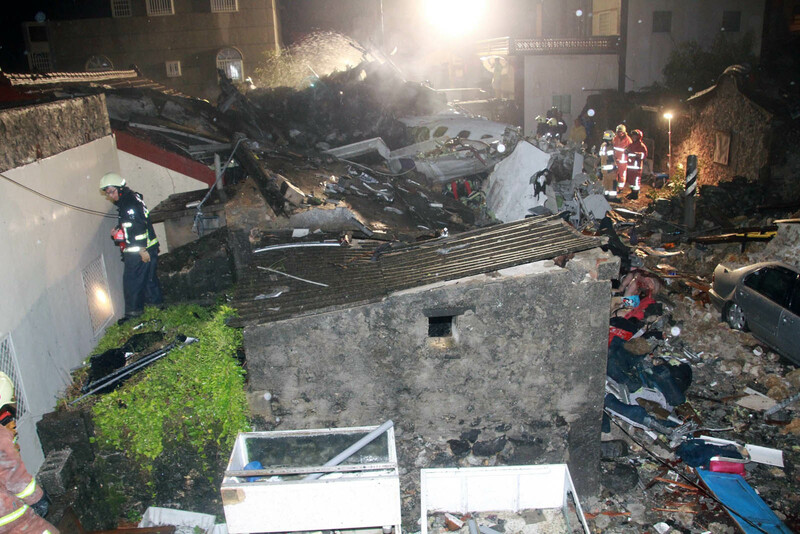 TransAsia plane smashed into two homes, setting off a fierce fire. 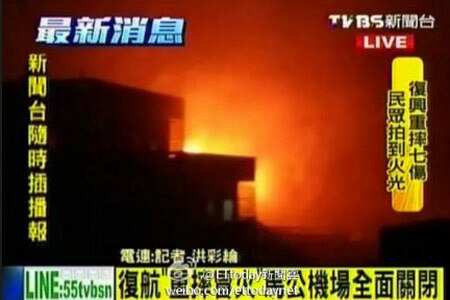 Conflicting reports on death toll, with some media reports saying 51 people died. 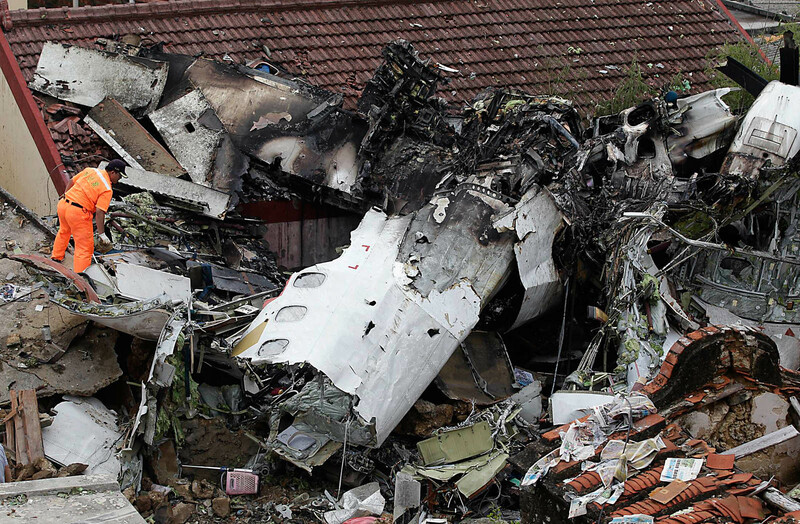 Tail of the ill-fated plane. 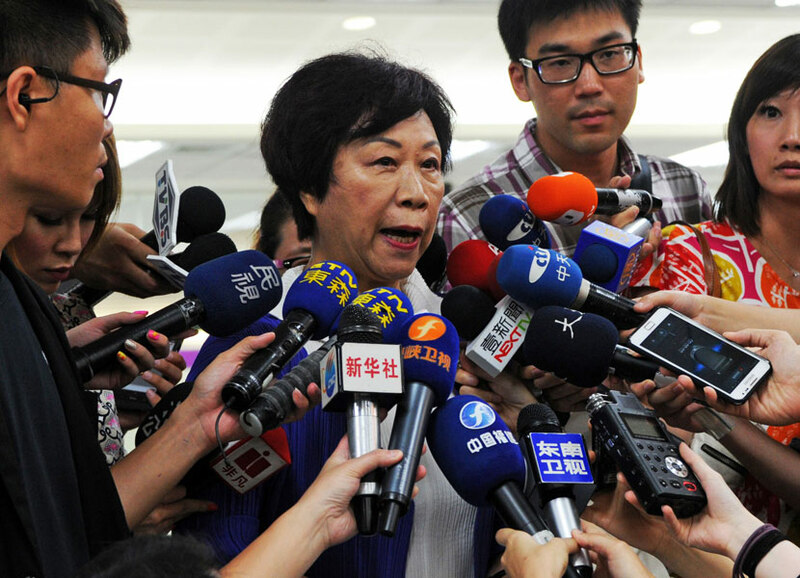 Aviation official Sheng Ching speaking to the media. 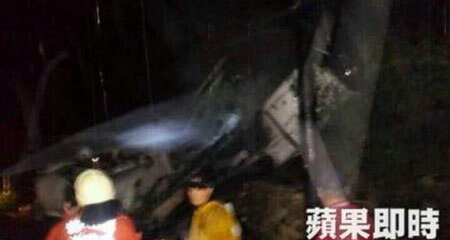 GE222 was carrying 58 on board when it crashed near Magong Airport. 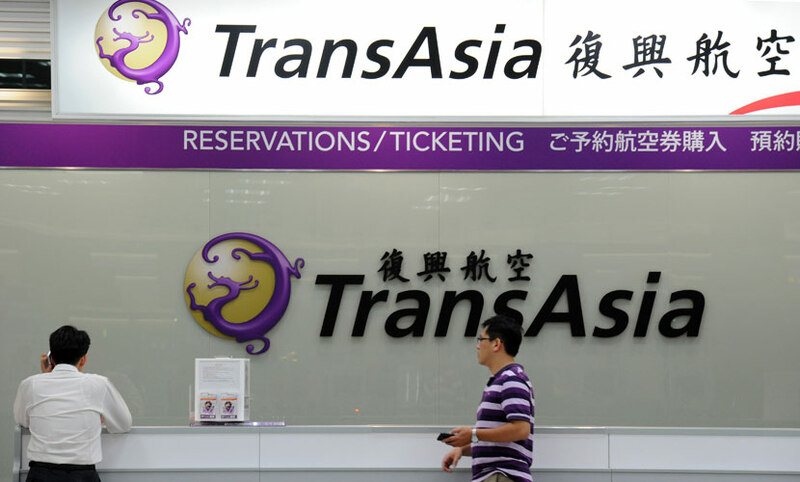 Journalists waiting for more information at TransAsia reservations desk at Sungshan airport in Taipei. 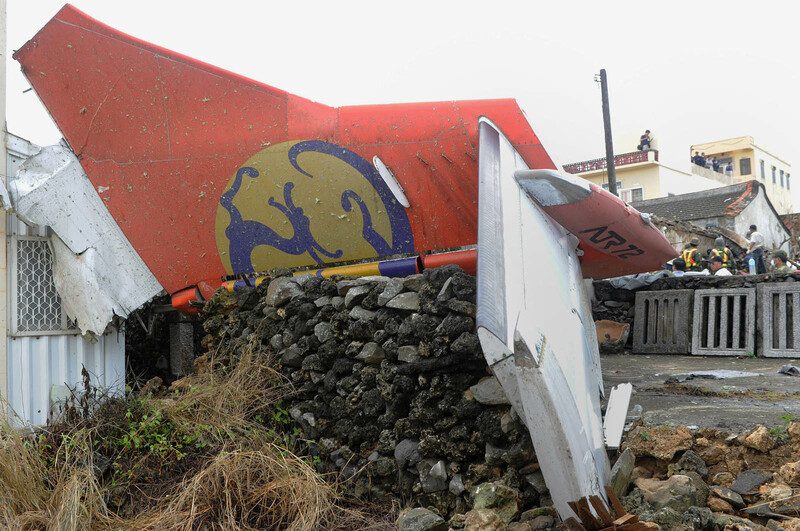 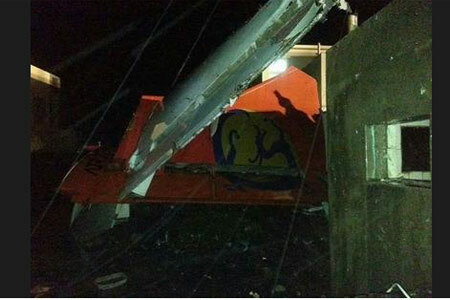 Part of the wreckage of the TransAsia Airways flight GE222 after it crashed in Penghu islands. 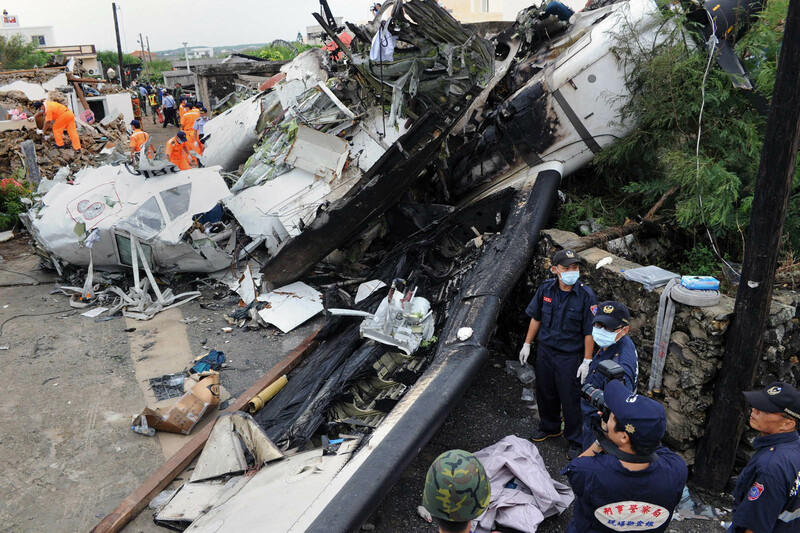 Taiwan's TransAsia Airways said on July 24 that 48 people were killed and 10 survived when one of its turboprop passenger planes crashed after an aborted landing during stormy weather. 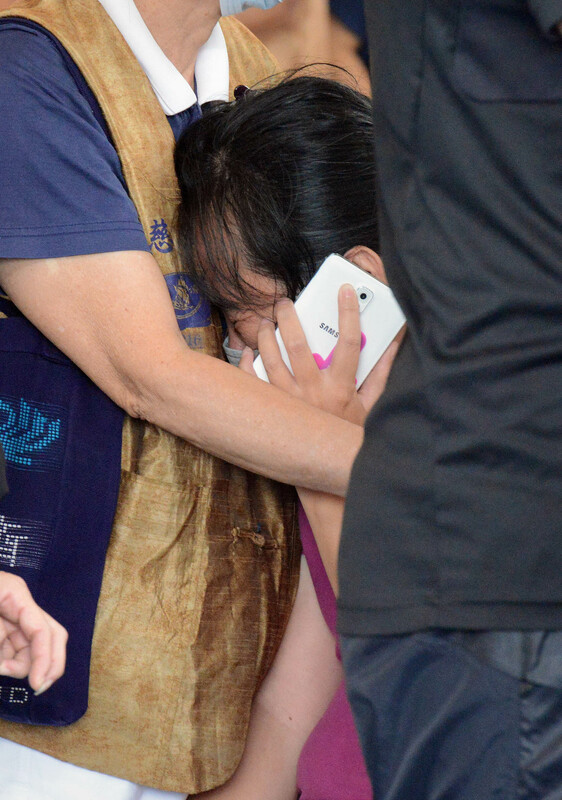 The leaders of rivals China and Taiwan expressed condolences on Thursday for victims of the plane that crashed during a thunderstorm the previous day killing 48 people including two French nationals. 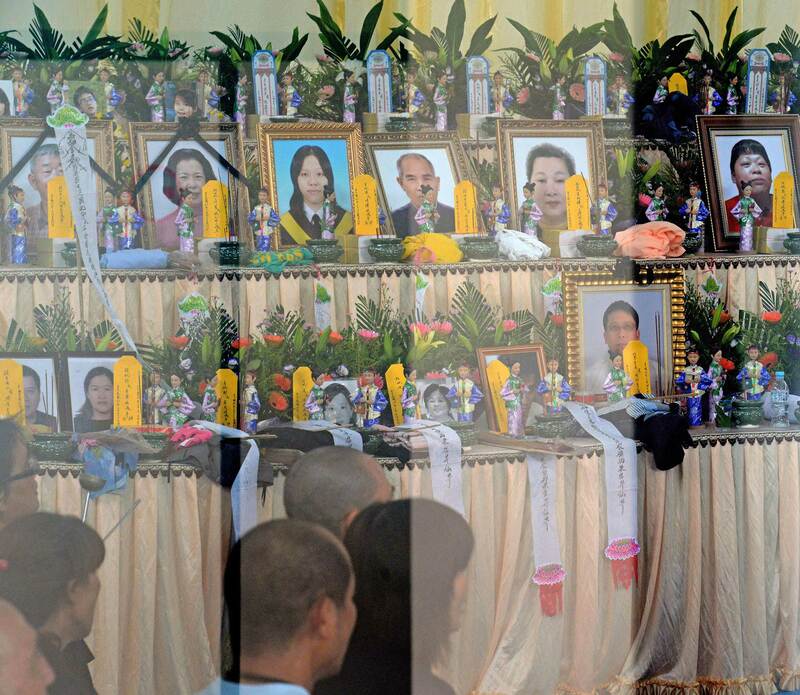 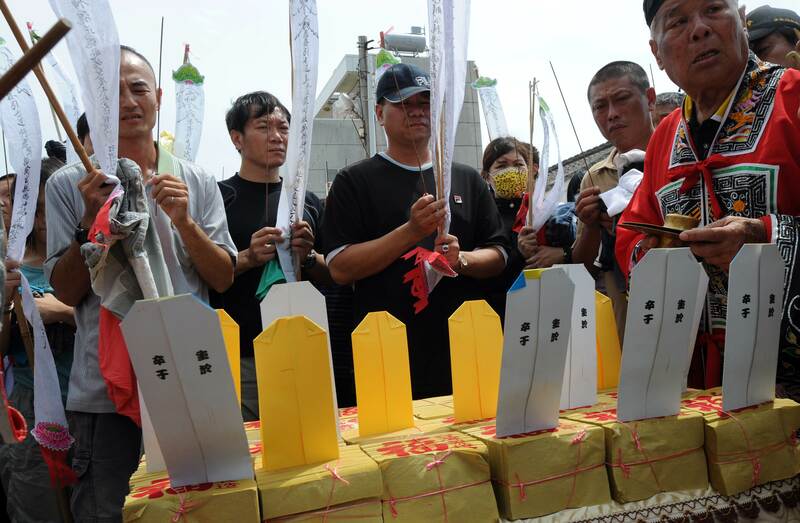 Relatives of passengers of TransAsia Airways flight GE222 pray at an altar set up for the victims, a day after the plane crashed near the airport at Magong on the Penghu island chain on July 24. 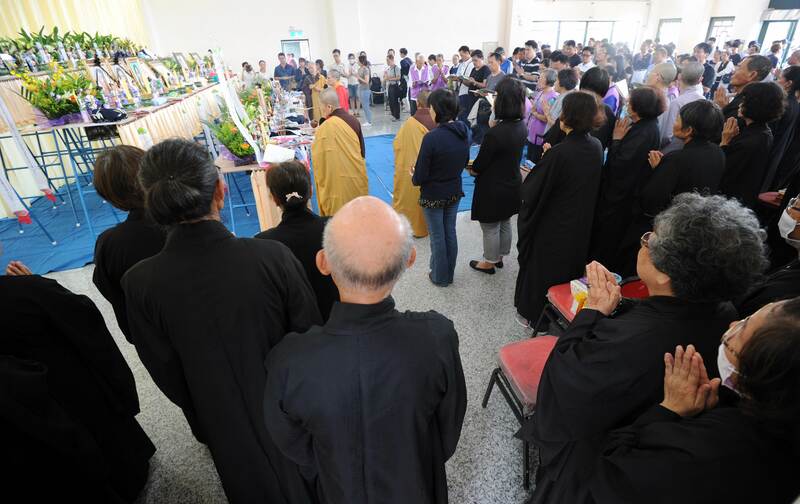 Buddhist monks hold prayers for the victims of TransAsia Airways flight GE222, a day after the plane crashed near the airport at Magong on the Penghu island chain on July 24. 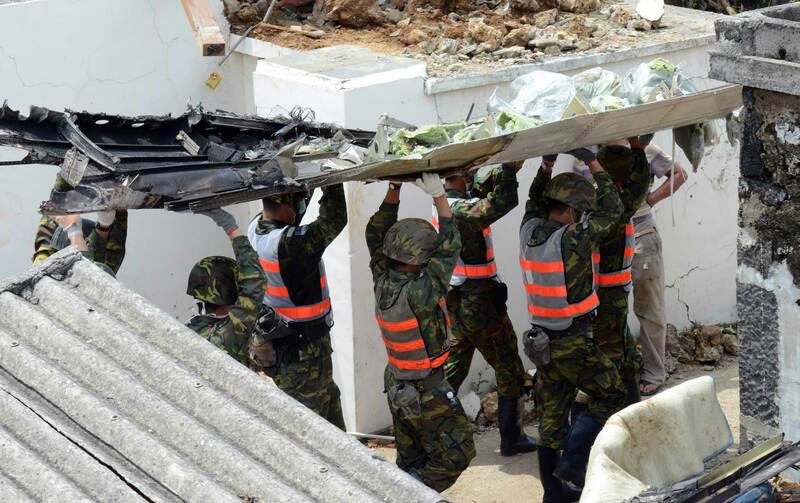 Soldiers carry part of the wreckage from TransAsia Airways flight GE222, a day after the plane crashed near the airport at Magong on the Penghu island chain on July 24.